More Americans are operating home offices or are working remotely, and they are doing so for longer periods, according to a recent Gallup survey. While it may seem wonderful to avoid the commute to the office, working from home has challenges. Distractions and disorganizations can prevent you from getting any real work done. Albert Einstein famously quipped, “If a cluttered desk is a sign of a cluttered mind, of what, then, is an empty desk a sign?” We believe that neatness and organization are two keys to making your home office productive. In your home office, keep home and office separate. It’s not wise to mix work papers with your miscellaneous home paperwork. When you need to find a sales report you shouldn’t be distracted by a bill from your dentist. Keep a calendar for work events, and once again make sure they’re not combined with your PTA meeting on Thursday night. Keep a separate desk for work, and keep it neat. We’ve known a few people over the years who have ridiculously messy desks and yet they know precisely where everything is located. These people are weird, and they are very rare. Just commit to neatness – all the time – and in the end it will pay off. Straighten up at the end of each day. Even if dinner is cooking on the stove, take a few minutes to do a recap of the day’s events and make a list of tomorrow’s tasks. Make sure everything is filed away and neat because the next morning you can hit the ground running, and not begin the day frustrated. It may seem to be over-doing it, but any successful person who works a home office will tell you it’s the best method. Because of the nature of our business, we believe large, visual aids are helpful and once again we can back that up based on experience. A wall calendar makes sure that when you get pre-occupied with a personal project you have the work side of your life right there, reminding you not to forget. Whiteboard In A Box is a great tool for home offices, and that’s probably why it is our most popular product. 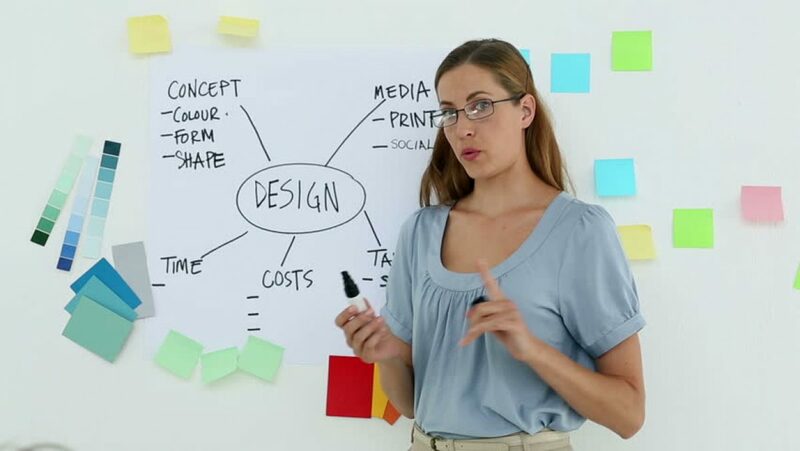 It is a self-stick dry erase surface that can be applied to any smooth, clean surface. 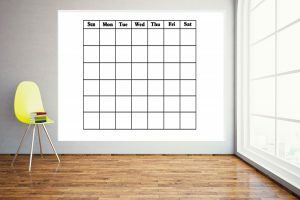 Self-stick grid lines or chart tape can be used to create a calendar that works for your specific needs and you’ll likely find it is a big help. Shop for Whiteboard In A Box by clicking here. Previous Previous post: Unleash Your Creativity! What Will You do This Summer?